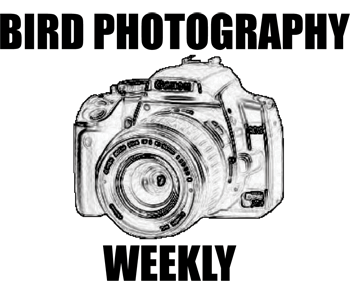 Join in on the 44th edition of Bird Photography Weekly Do you have an idea on how to improve BPW? Increase participation? Let us know! Previous Previous post: Get Your Duck (Conservation) Stamp Now! I am posting Crested Pigeons and a Spotted Turtle Dove. I am posting Black-faced Cuckoo-shrike, Australian Magpie and Little Corella. I’ve got a couple of Pied Avocet photos. I`ve caught a heron preening, before taking flight. I’ve got a butcher bird this week. …a lovely Little Blue Heron with chick. I posted an American Dipper this week. Hi I am new here and not really sure what to write but I have a few pictures I think you may like of the White-bellied Sea-Eagle and the Whistling Kite I saw on North Stradbroke Island. I am posting a White-bellied Sea-Eagle and Whistling Kite. I have a Gray Catbird to offer this week. Had a wonderful wading sighting/photography over the weekend @Bidor. I’ve posted a Yellow-throated vireo. Close up pics of two young cormorants displaying their wings. A little late to the party as always. I’ve got my first decent pictures of a Ruby-throated Hummingbird for this week’s entry. Enjoy! 10,000 Birds is a bit late this week but we have an Arctic Tern! Hating the month long streak of rainy weather. Photos of fledglings around our yard and feeders. Snow Goose (today!) for me. Fun pix of Blue Jay fledglings the first day out of the nest.